I interviewed Betsy Jacks, Director of the Thomas Cole National Historic Site in Catskill, Greene County. The Thomas Cole National Historic Site in partnership with Olana State Historic Site are co-hosting River Crossings: Contemporary Art Comes Home, an exhibition that will open this Sunday, May 3, and run through November this year. The exhibition, featuring twenty-eight contemporary artists inspired by the works of Thomas Cole and Frederic Edwin Church, is the first major collaboration between the two institutions, and the first event since the 19th century when contemporary artists are invited to present works in these settings. 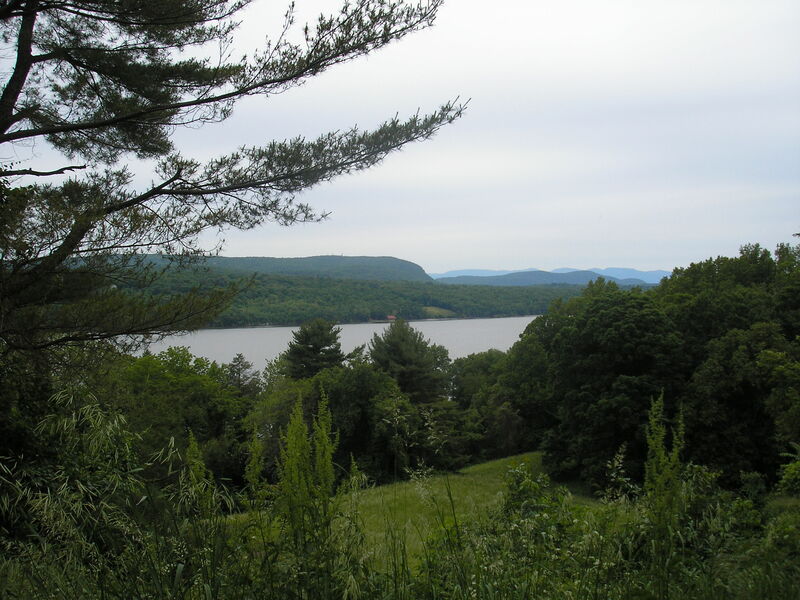 Simona David: Before we talk specifically about River Crossings, let’s briefly talk about the Thomas Cole National Historic Site and the Olana State Historic Site, the homes of 19th century landscape painters Thomas Cole, and Frederic Edwin Church respectively. Betsy Jacks: The two homes are just two miles apart, so they make a great one day or a weekend trip to both of them. They’ve been connecting for centuries with history and with each other. Because the Thomas Cole National Historic Site is of course the place where Thomas Cole lived and worked, but perhaps people don’t realize, it’s also the place where Frederic Church first came to this area to live and work as a student of Cole’s. Frederic Church was just a teenager when he came to live and learn from Cole. Later in life Church built Olana across the river within viewing distance from the Thomas Cole’s site. So they had a history together from the beginning. Thomas Cole National Historic Site. Contributed Photo. SD: You are currently in the process of re-building Thomas Cole’s New Studio, originally erected in 1846, and demolished in 1973. What is the status of this project? BJ: It’s under construction. We raised the funds for it except for the last bit; we’re still looking for some contributions to finish the capital campaign. We’re almost there. We have 90 percent of the funds. And the building I would say is 90 percent complete as well. It can be visited from the outside at the moment. You can see the construction – the windows just went in last week; and that was an exciting moment. We anticipate announcing the ribbon cutting soon. SD: Thomas Cole had two studios: the Old Studio, built in 1839, and the New Studio, built in 1846, currently under construction. But the Old Studio is still in its authentic condition, and can be visited from May to October, right? BJ: Yes, it’s a beautiful barn like structure built in 1839 that Thomas Cole painted in for seven years of his life. And he did many of his statement works in that modest building. He did The Voyage of Life series of paintings there, which he called “my great series” – he considered it one of his greatest accomplishments. And finally he built the New Studio, which is a much more elegant building – Thomas Cole designed it himself. It was designed in the Italianate style, with beautiful moldings; it’s a really beautiful place to work in. Cole got to work in that building until the last year of his life. SD: Cole’s paintings are in museums all over the country. How many of his paintings do you still have at the Thomas Cole National Historic Site? BJ: We have about 16 or 17 of his paintings on view at any given time. His paintings can be seen now in museums all over the world. SD: Let’s talk about River Crossings. Whose idea was to organize this event, and how did you go about putting it together? BJ: It was all conceived by an artist by the name of Stephen Hannock. Hannock is a landscape painter who lives and works in Berkshires, Massachusetts. The former head of Olana, who just retired, Sarah Griffin, and I went out to visit his studio on Halloween in 2013, and he said “I would really like to do something to help your sites.” Stephen Hanncok has long been inspired by Thomas Cole and Frederic Church, and has been supporting our sites in a variety of ways. We are a big fan of his as well. He wanted to come up with a way to help us – in a bigger way, and he proposed this exhibition. He’s brought in a co-curator – Jason Rosenfeld, who is a professor of art history and curator. And then Stephen went about calling all the artists that he knew and loved – a really incredible collection of artists that are highly sought after and celebrated today. They all said “yes” to Stephen. Then Jason reached out to some additional artists, so it became a collaborative effort from then on. SD: The show is co-curated by art historian Jason Rosenfeld and painter Stephen Hannock. Rosenfeld curated major shows at Tate Britain in London, and the National Gallery in Washington DC just recently. Hannock is a painter whose works are actually included in this exhibition. BJ: Yes. Stephen has two paintings that are currently hanging in Thomas Cole’s parlor. SD: He must be very excited about that. BJ: It’s a visually stunning exhibition. We knew it was going to be very special because these artworks are very special anywhere. But putting them in this historic context has just had so many repercussions we didn’t anticipate. The artworks and the surroundings magnify each other beautifully. SD: I’m interested in the curation process, and the kind of experience that the curators had in mind for visitors. It’s important to say it’s a multi-media exhibition – it includes a wide range of works in a variety of styles and media by very diverse artists. BJ: Correct. It’s a very mixed-media exhibition. It feels like you don’t know what to expect when you go around the corner. It’s full of surprises. It’s really fun that way, to walk around and just discover what’s been installed. SD: There are a total of thirty artists included in this exhibition, among them painter Chuck Close, sculptor Martin Puryear, photographer Lynn Davis, Cindy Sherman – who is a photographer and stylist, and Kiki Smith, a multi-media artist. Some of these artworks are on display at the Thomas Cole National Historic Site, and others at Olana estate across the river. Would you like to talk about these artists and their artworks? BJ: There are thirty artists if you include Thomas Cole and Frederic Church – so there are twenty-eight contemporary artists. It’s such a wide variety of things that you see here. At Olana for example there is this incredible piece by Maya Lin, which is called Silver River – Hudson. She has taken a topographical study of the Hudson River and cast the shape of the river in solid silver – recycled silver. At the Thomas Cole site there is an artist Jerry Gretzinger who has been for the last forty years of his life creating a map that is now up to over 3,000 pieces, and each piece is the size of eight by ten inch. He installed this map so that it wraps along the whole stair hall – so, when you come up the stairs, you suddenly catch sight of this map that surrounds you on all sides in the most vivid colors imaginable, like a kaleidoscope. When you walk up, you’re in the middle of it, and enter this colorful world. On your way up you’ll pass a sculpture by Kiki Smith called Wolf with Birds, which is made out of bronze with gold leaf, and is such a beautiful piece which brings the wilderness inside this domestic space. Which is what Thomas Cole was doing as well – painting the wilderness – paintings that he would then bring inside. There are so many connections between the past and the present in each artwork. The process of walking around this exhibit is a process of discovery. SD: And it’s interesting, because when people think of Thomas Cole and Frederic Church, they think of representational art, landscape painting, and I’m looking at Maya Lin’s silver piece, the style is so modern – I wouldn’t make a connection between Thomas Cole and Maya Lin’s work. It’s interesting to see what kind of conversations will emerge when people see these contemporary artists’ works side by side with Thomas Cole and Frederic Church. Now let’s talk a bit more about Stephen Hannock, who is a luminist painter – he is a co-curator of this exhibition as well. BJ: Stephen has two paintings in the Thomas Cole’s main parlor. One of them is called The Oxbow, which refers to a bend in the Connecticut River in Massachusetts that Thomas Cole painted quite famously in 1836. And that painting is now at The Metropolitan Museum of Art, one of the most beloved paintings by Thomas Cole. If people know any paintings by Cole, they may know that one, it’s a very famous work. So Stephen has painted the same bend in the river: it’s very recognizable. He painted it many, many times now. Its simplicity is deceptive: when you look at it first it just looks like this incredibly luminous landscape painting, but the closer you get, the more you realize that a lot is going on in this painting. What looks like rose of crops in a field, are actually scribbles of writing, lines of written script. In another place, what you may think it’s a grove of trees, when you get closer you see the photograph of Stephen Hanncok and some people who were important to him. Stephen inscribed his life into this landscape, literally and figuratively. It’s a stunning work. It explains a lot about the rest of the exhibition, if you see this artwork first. Across the way there is another Hannock painting called River Keeper, which has been featured on the postcard. It’s a view of the Hudson River. SD: It’s good to know, there is a website http://www.rivercrossings.org/ where people can go and see all the participating artists. There is also a companion book published by The Artist Book Foundation which includes commentary by historian Ken Burns, and also by Maurice Berger, Marvin Heiferman and Adam Gopnik. Where will this book be available? BJ: We would have loved to have it for the opening, but we had to make a difficult decision. We wanted to have installation shots. Just to put the artwork in the book without any context, it really wouldn’t be in the spirit of the show. Part of what makes this show so special is the context – that you put this artwork in a different room where it would be normally seen in. Today we’re used to seeing artwork on a white wall in a gallery or a museum; but the traditional way to display art in the 19th century was in a home. So we wanted to hold the book until we can get installation photography. We anticipate that we will have the book by the end of June. It will be available on the website as well. SD: Let’s talk about the opening reception on May 3, and the hours of visitation throughout the summer. BJ: The official opening day is May 3. 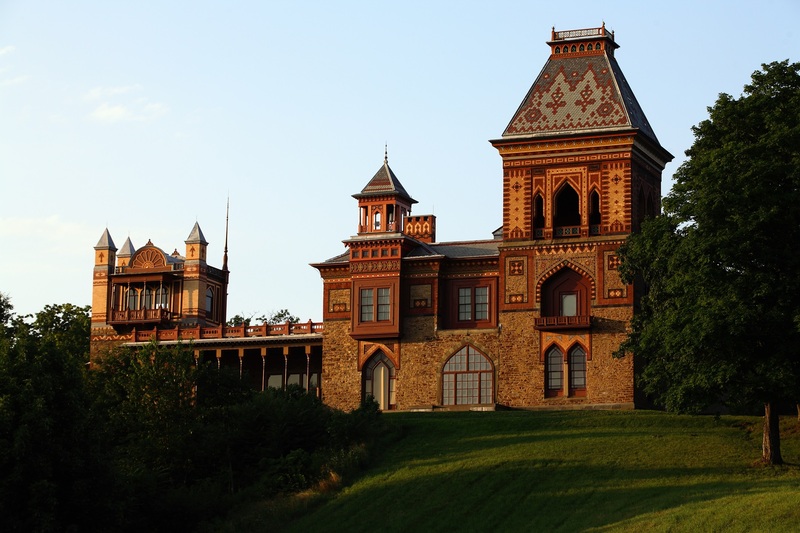 Both Olana and the Thomas Cole site will be open regular hours that day, 10 a.m. to 4 p.m. For the first time this year, visitors will have the opportunity to visit the interiors of both homes without a tour guide Friday, Saturday and Sunday from 2 to 5 p.m. Olana will provide this “explore at your own pace” opportunity on Saturdays. The other option for seeing the show is to take one of our guided tours, which is a great option, because then you’ll have a person with you who can answer questions. Guided tours are offered during our regular hours Tuesday through Sunday, at all times, except when “explore at your own pace” is going on. Thomas Cole (1801 – 1848) is the founder of the Hudson River School of Painting, the first authentic American art movement. Frederic Edwin Church (1826 – 1900) was Cole’s most famous student. Church is best known for paintings such as Heart of the Andes (1859), Twilight in the Wilderness (1860), and Aurora Borealis (1865). Cole’s paintings include: The Titan’s Goblet (1833), The Course of Empire series (1834 – 1836), The Oxbow (1836), and The Voyage of Life (1842). For more information about Cole, visit http://www.explorethomascole.org. 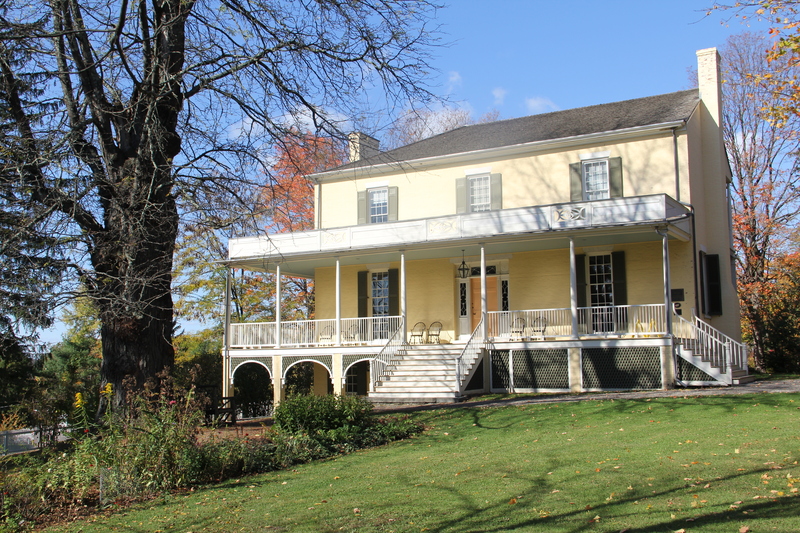 For more information about Thomas Cole National Historic Site, visit thomascole.org. 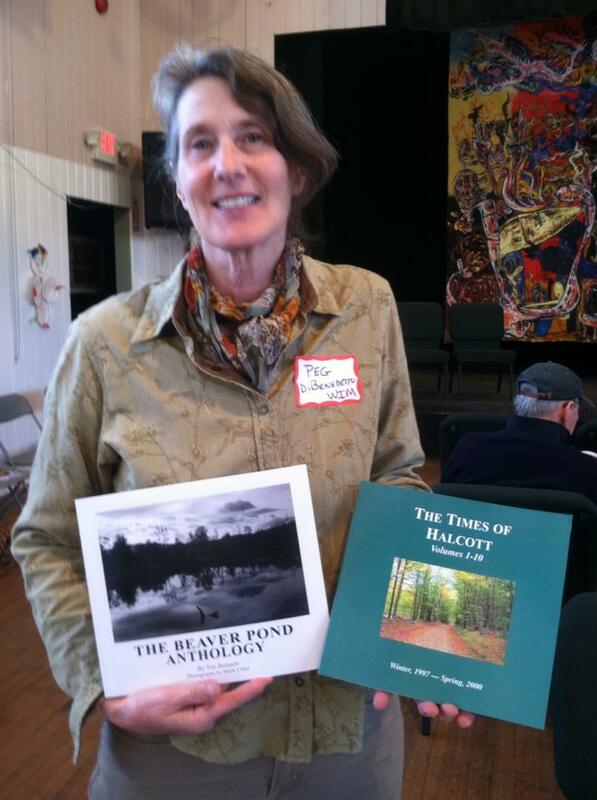 Writers in the Mountains (WIM) announces a six-week nature-writing workshop, Seeing Nature in Words with Leslie T. Sharpe, at the Delaware County Historical Association, 46549 State Hwy 10, Delhi, NY, Saturdays, 11 am to 1 pm, from May 9 to June 13, 2015 (skipping Memorial Day weekend). Whether one is writing to change the world or simply for the pleasure of recording one’s observations in a notebook, when the relationship between the observer and nature is at the core of a work, the writing is almost always personal and intensely felt. It is this passion that makes the genre so dynamic, and also so accessible to read and to write. The goal of this class is to encourage writers to explore their special relationship with the natural world—be it in the Catskill High Peaks or a backyard garden, expressed as a description of a single flower or as an essay probing an environmental issue—in their own true voice. 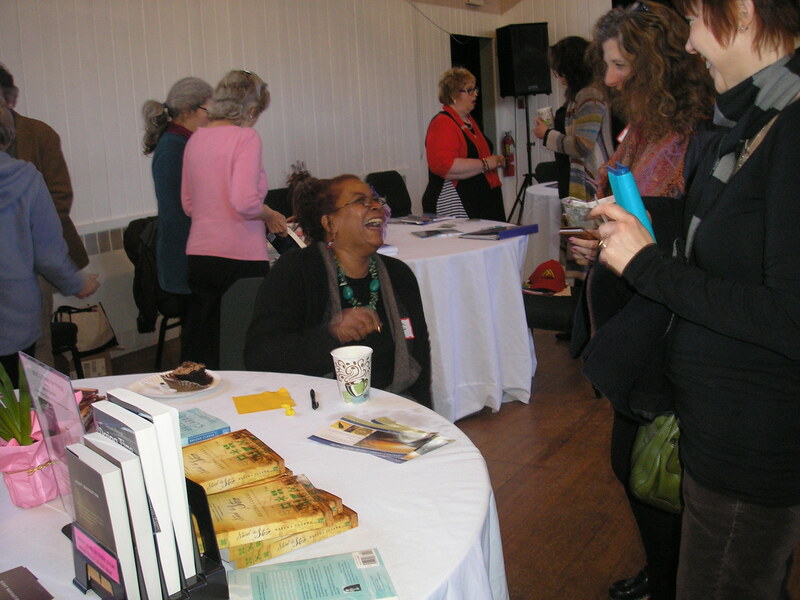 Sharpe has taught in the undergraduate and graduate writing programs at Columbia University’s School of the Arts; Introduction to Publishing and Editorial Process at City College of New York’s publishing certificate program; and Manuscript Editing at New York University’s certificate program in book publishing. She teaches online courses for the cutting-edge all-media website mediabistro.com, including The Nonfiction Book and Nonfiction Writing Master Class. Leslie has also a been a regular contributor to Newsday’s “Urban ‘I’” column, and her essays and articles have appeared in a wide variety of publications including the Chicago Tribune, Christian Science Monitor, Global City Review, International Herald Tribune, New York Times, New York Tribune, Philadelphia Inquirer, San Francisco Chronicle, and Village Voice; The Villager; The Writer; and Psychology Today. She recently finished her memoir, Our Fractured, Perfect Selves, and is currently at work on a new book, The Quarry Fox and Other Tales of a Catskill Summer. Her poems for children have appeared in Ladybug Magazine; Who Knew? 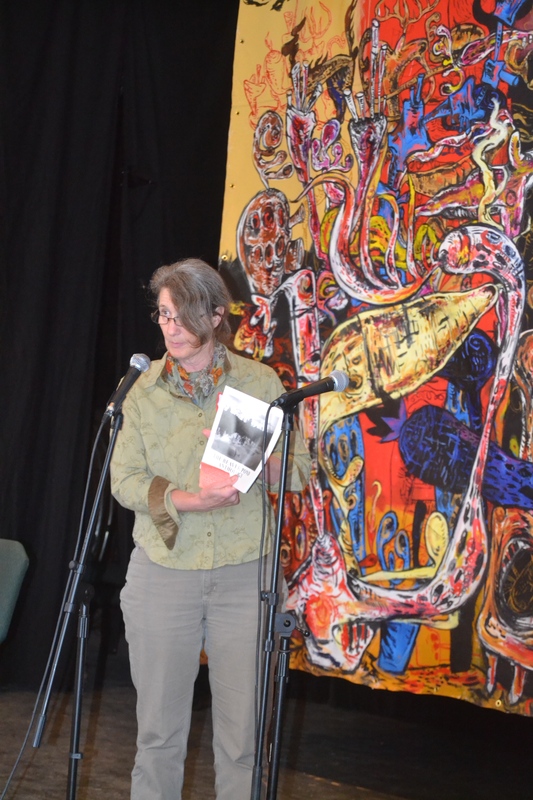 Catskill Literary Journal; and From the Catskills. Leslie’s approach, as an editor as well as a writing teacher, is to find the strengths in the work at hand and build on them. That method is rooted in her respect for every writer and their creations. 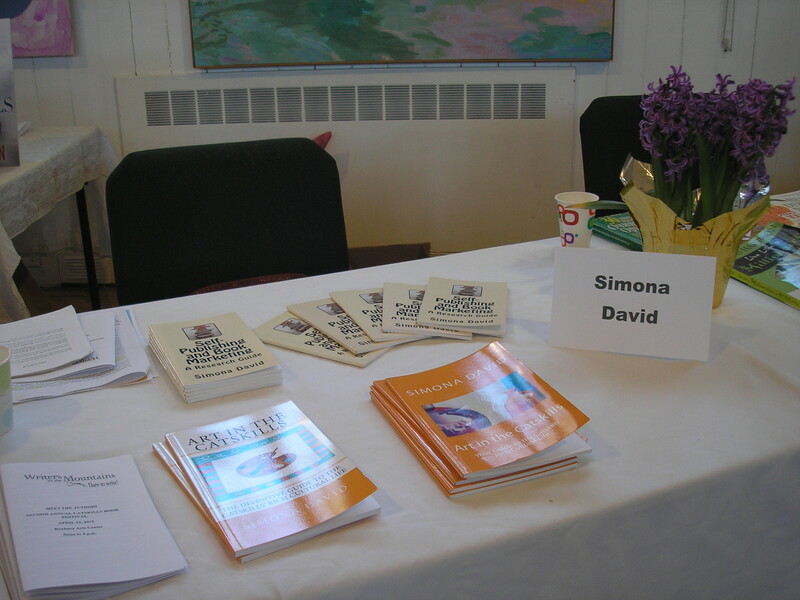 She believes it is especially important that a workshop environment allow writers to feel safe to express themselves and their thoughts and feelings as well as observations—especially when working in those creative nonfiction forms (journaling, personal essay, memoir) that use the first person “I” voice, and that speak directly out of one’s personal experience. To register, call (607) 759-6138, or e-mail writersinthemountains@gmail.com. 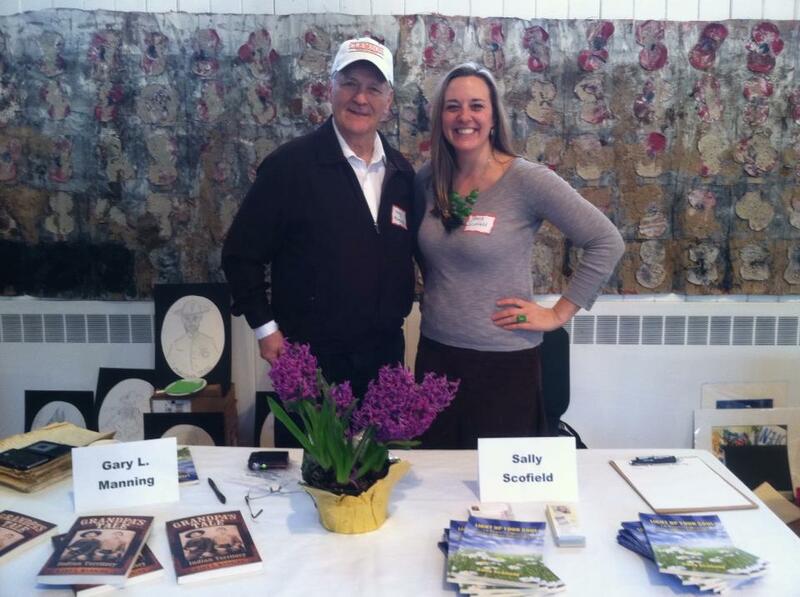 To register online, visit writersinthemountains.org. This class is $100 if registered by April 18 or $125 thereafter. Partial scholarships may be available. Writers in the Mountains is a 501(c)(3) not-for-profit organization with a mission to provide to a nurturing environment for the practice, appreciation, and sharing of creative writing. 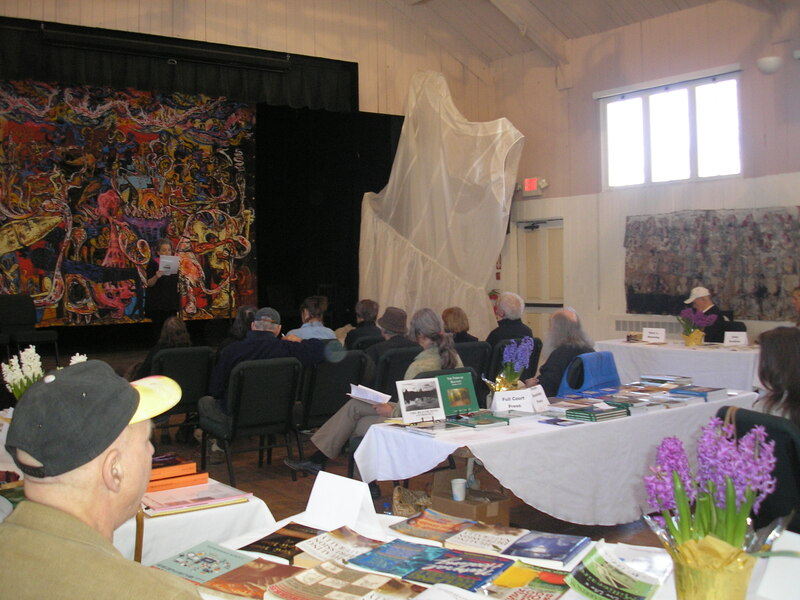 Music, books, theater – this weekend is filled with choices for art enthusiasts in the Catskills. Bearsville Theater in Woodstock is hosting a concert this Saturday, April 18 at 9 p.m. featuring singer-songwriter Suzanne Vega, a concert sponsored by Radio Woodstock. From the Bearsville Theater: “Widely regarded as one of the most brilliant songwriters of her generation, Suzanne Vega emerged as a leading figure of the folk-music revival of the early 1980s when, accompanying herself on acoustic guitar, she sang what has been labeled contemporary folk or neo-folk songs of her own creation in Greenwich Village clubs. Since the release of her self-titled, critically acclaimed 1985 debut album, she has given sold-out concerts in many of the world’s best-known halls. In performances devoid of outward drama that nevertheless convey deep emotion, Vega sings in a distinctive, clear vibrato-less voice that has been described as “a cool, dry sandpaper- brushed near-whisper” and as “plaintive but disarmingly powerful.” For more information about this concert, visit http://www.bearsvilletheater.com/events-calendar/suzanne-vega. The Woodstock Byrdcliffe Guild is hosting a piano recital this Saturday, April 18 at 8 p.m. featuring Mayumi Tsuchida, a virtuoso pianist born in Japan, and currently residing in the Hudson Valley. From the Byrdcliffe Guild: Tsuchida “began playing piano at the age of 3, gave her first solo concert when she was 7, and has been on an upward trajectory ever since. Her performances have taken her to Asia, South America, and Europe as both a soloist and a chamber musician. Tsuchida made her Carnegie Hall debut in 2008, playing with the Luna Trio on the popular PBS television show From the Top, which showcases America’s most talented young musicians. She has participated in master classes and worked with world-class pianists Richard Goode, Menahem Pressler, Peter Serkin, and Andre Watts.” The concert will take place the Kleinert / James Center for the Arts on Tinker Street. Compositions by Bach, Haydn, Debussy, Bartok and Schumann will be performed.For more information, visit http://www.woodstockguild.org/mayumi.html. This Saturday April 18 from 10 a.m. to 3 p.m. the FDR Presidential Library will host the third annual Hudson Valley History Reading Festival. 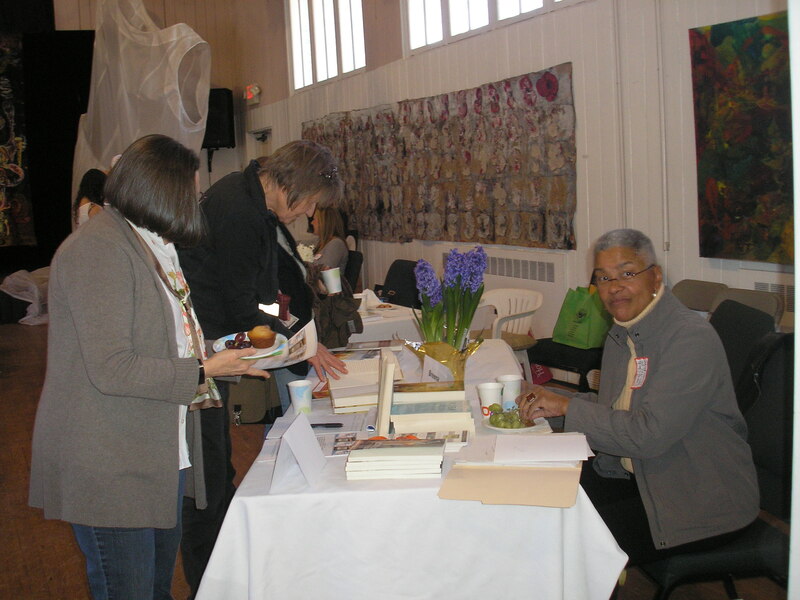 The festival this year features four authors who wrote about the Hudson Valley history: Harvey Flad, Cynthia Owen Philip, Ann DuBois, and Anthony Musso. 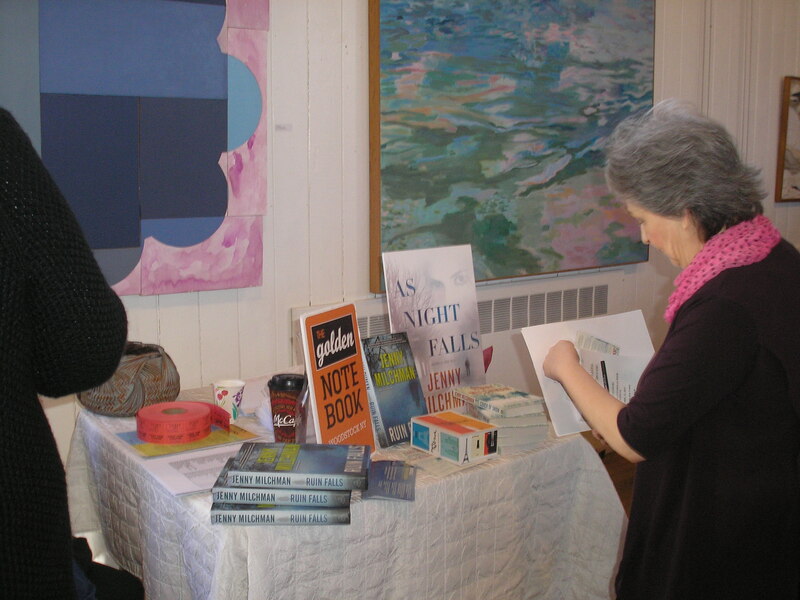 Ann DuBois, who last weekend participated in the Writers in the Mountains’ second annual Catskills Book Festival, will read from her book The Big Apples of New York: The Story of How New York State Became the Big Apple. For more information, visit http://www.fdrlibrary.marist.edu/publicprograms/calendar.html. Capital Repertory Theater in Albany is hosting a preview of Hamlet this Friday, April 17 at 8 p.m., a production directed by Kevin McGuire. Written in the early 1600s, this Shakespearean masterpiece deals with themes typical of the Renaissance: the scope of human understanding, the beauty of the world, as well as mystery and uncertainty. The play opening night is Tuesday, April 21. In theREP Café there will be an art exhibit featuring paintings by artist Meredith Rosier. Rosier studied at Yale University School of Art, and received numerous awards and recognitions. 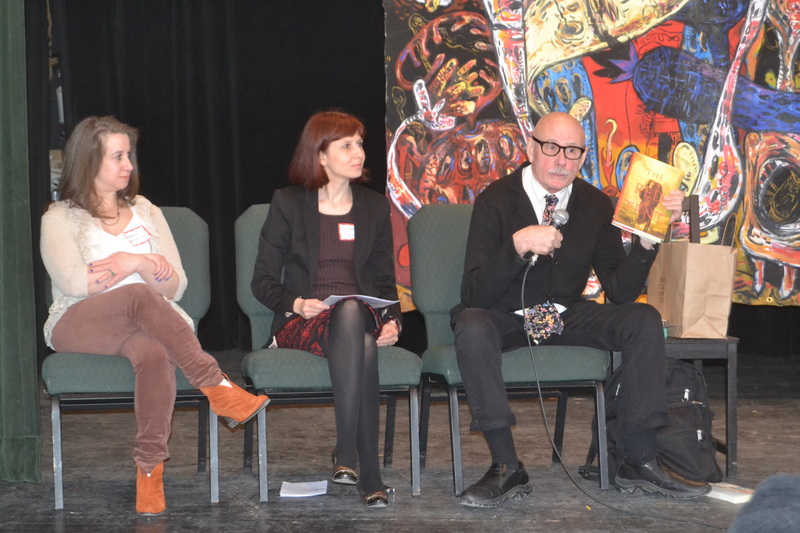 For more information about this production and art exhibit, visit http://capitalrep.org/theatre/2014-2015/hamlet. National Museum of Dance in Saratoga Springs is hosting a book launch this Saturday, April 18 at 2 p.m. Crafterina, a children’s book by author Vanessa Saldago, is the story of a young dancer who uses her crafting skills to create a world of ballet outside of dance class. This event is free and open to the public. For more information, visit http://www.dancemuseum.org/events/. For more information about Crafterina, visit http://www.crafterina.com/. Have a fabulous weekend in the Catskills! 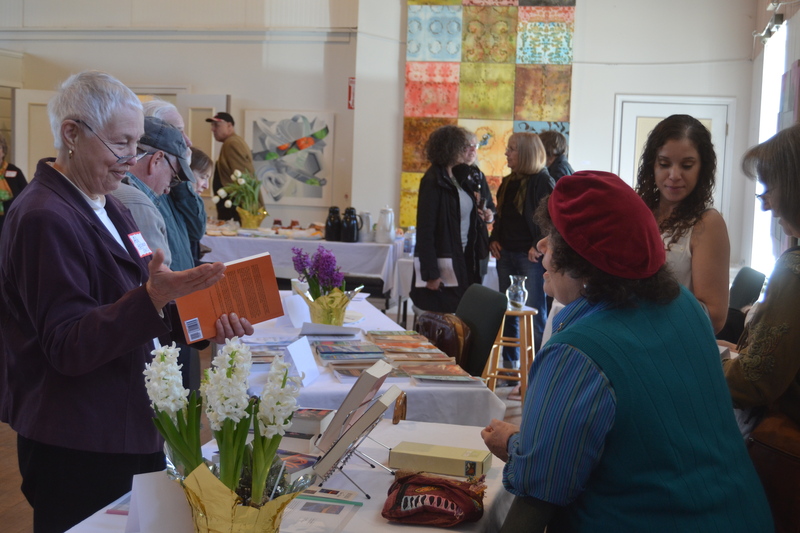 This weekend in the Catskills and surrounding area: books, daguerreotypes, pastels, Brubeck, and poetry: what can be better? 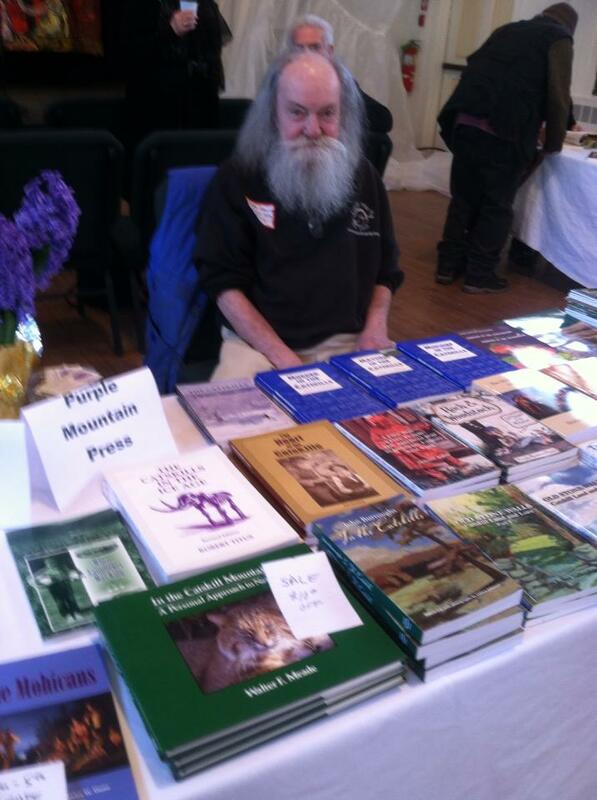 Writers in the Mountains (WIM) is hosting “Meet the Authors,” Second Annual Catskills Book Festival, Sunday, April 12, 2015 from 12 noon to 4 p.m. at the Roxbury Arts Center. 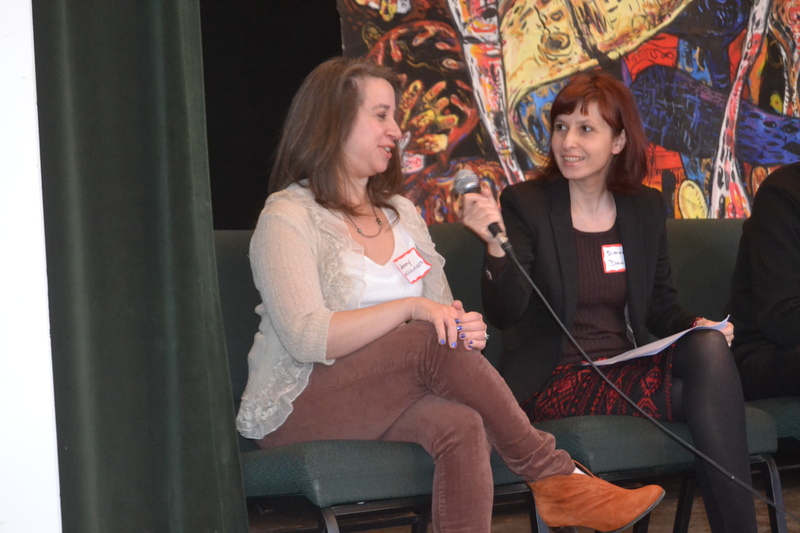 Participants include award-winning writers Jenny Milchman, author of Cover of Snow, Ruin Falls, and Night Falls, Mermer Blakeslee, author of When You Live by a River, and Breena Clarke, author of River, Cross My Heart, Stand the Storm, and Angels Make Their Hope Here. 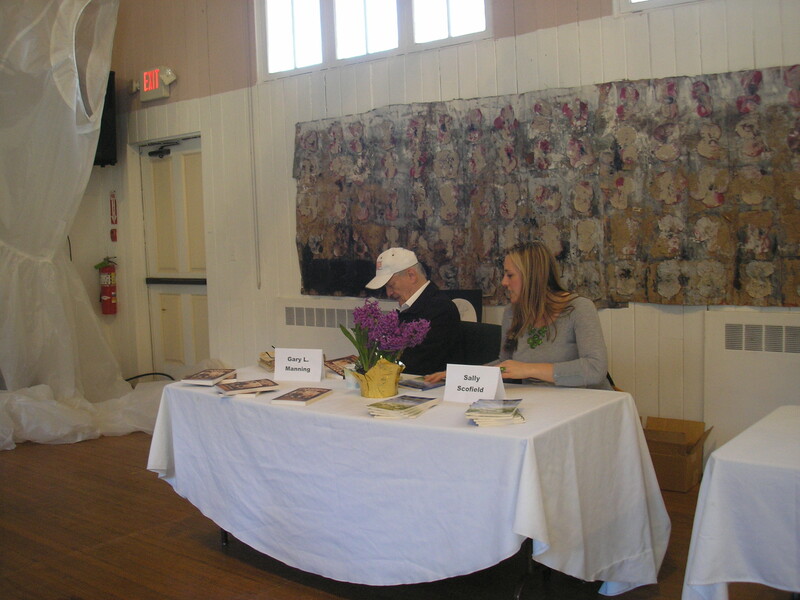 For full program and authors’ bios, go to http://writersinthemountains.org/book-festival/. Founded in 1864, the Frances Lehman Loeb Art Center houses over 18,000 paintings, drawings, prints, photographs, sculptures, textiles, ceramics and glass wares from ancient times to the present. The collections include many European and American masters, such as Albrecht Durer, Rembrandt van Rijn, Pablo Picasso, and others. The Warburg Collection contains works by leading artists of the Hudson River School of Painting such as Frederic Edwin Church. Mark Gruber Gallery in New Paltz, Ulster County, is hosting an opening reception Birds and Art, Saturday, April 11 at 5 p.m. This is a group show featuring the work of eleven artists, including Mireille Duchesne. Duchesne, a French-born artist, won numerous awards for her pastel and oil paintings, including awards from the Pastel Society of America, and the American Artists Professional League. 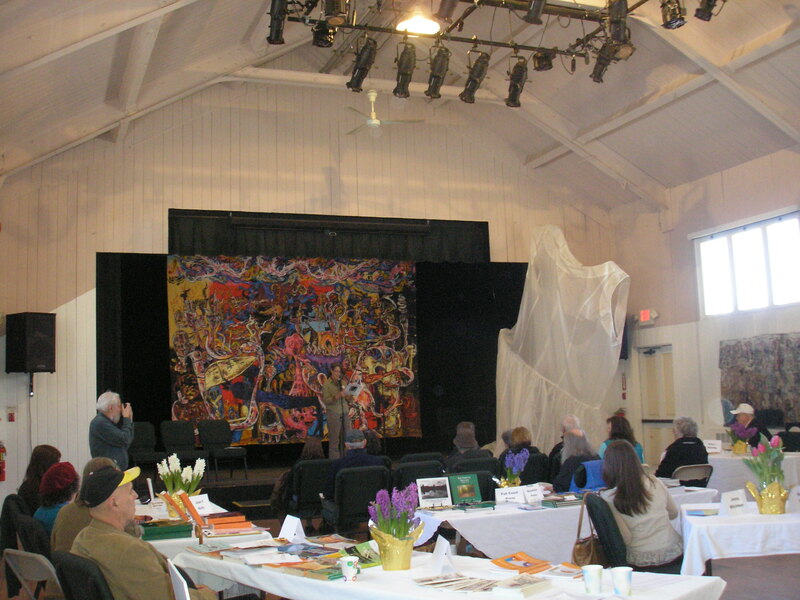 Duchesne is teaching at Katonah Art Center. For more information about Birds and Art, visit http://markgrubergallery.com/. 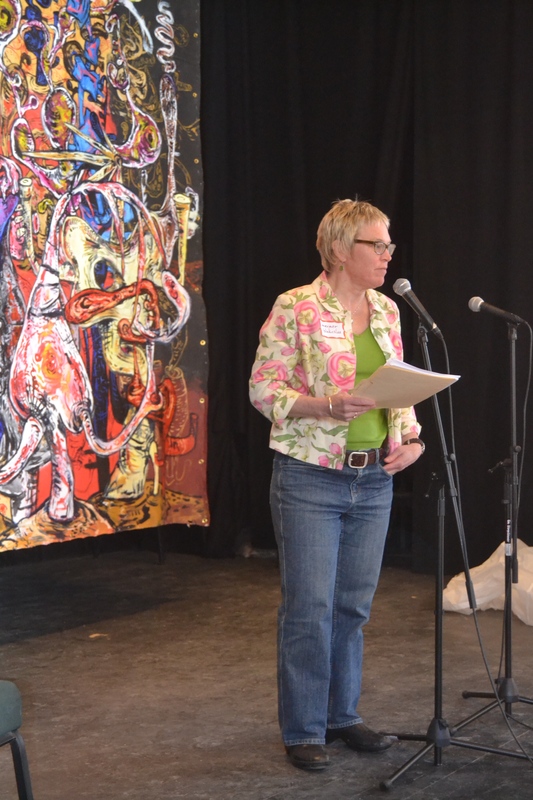 Albany Poets celebrate National Poetry Month with a Word Fest held in Albany from April 12 to 18. The festival kicks off Sunday, April 12 at 6 p.m. at McGeary’s Pub at Clinton Square. The third edition of Albany Poets’ literary journal Up The River will be launched at this inaugural event. 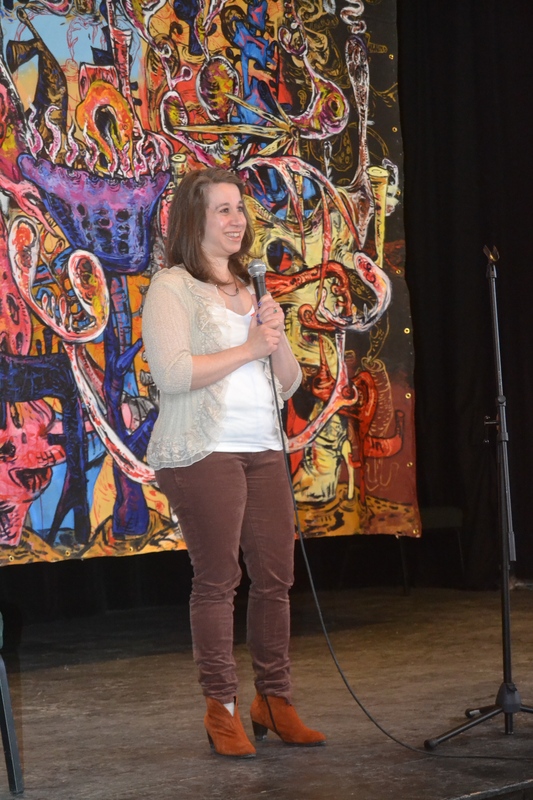 For more information, visit http://www.albanypoets.com/2015/04/upcoming-poetry-events-week-of-april-12-2015/. This weekend in the Catskills: an exhibit from The Met, a letterpress printing workshop, a Pulitzer Prize winning play, and more. What could Mozart, Fenimore Cooper, and Marc Chagall have in common? The Fenimore Art Museum in Cooperstown, Otsego County, re-opened for the season this Wednesday, April 1 with an exhibition of Marc Chagall’s Magic Flute: Highlights from the Metropolitan Opera, displaying artifacts from the Met’s 1967 production of the Magic Flute. Cubist painter Marc Chagall (1887 – 1985) designed the costumes for that production, as well as the visuals for publicity, and other objects. The exhibit at the Fenimore, which runs through December 2015, includes six costumes and four masks from the production, as well as photographs and artifacts, all on loan from the Met. For more information about this exhibit, visit http://www.fenimoreartmuseum.org/chagall. Still in Cooperstown, the Farmers’ Museum is hosting a Letterpress Printing Workshop, this Saturday, April 4 from 10 a.m. to 4 p.m., with a half hour lunch break. The workshop will give participants hands-on experience in the 19th century letterpress printing techniques; historic presses will be used to print the final products. For more information, visit http://www.farmersmuseum.org/programs/%5Bfield_program_type-raw%5D/workshop_letterpress_printing. 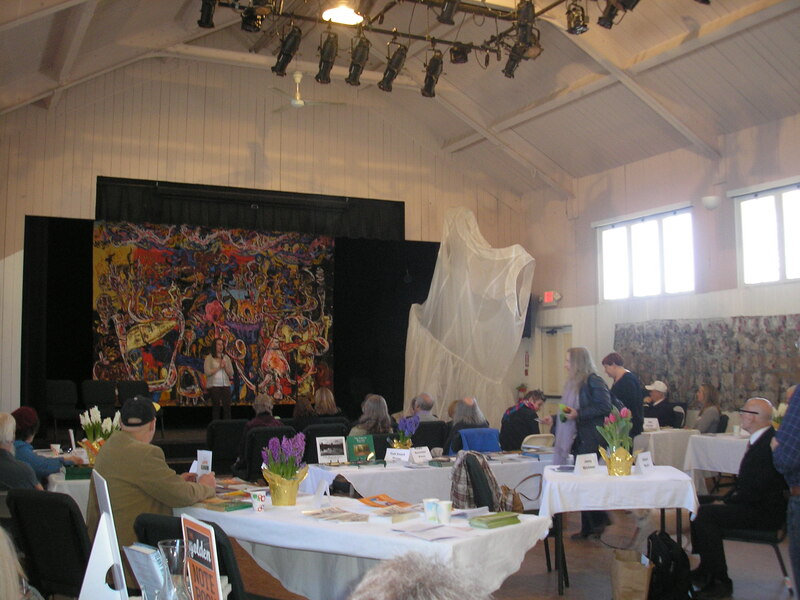 Bethel Woods Center for the Arts in Bethel, Sullivan County, is opening for the season this Saturday, April 4 with an exhibit Peace, Love, Unity, Respect curated by Daphne Carr. The exhibit focuses on the history, aesthetics and communities that gave rise to electronic dance music in America. 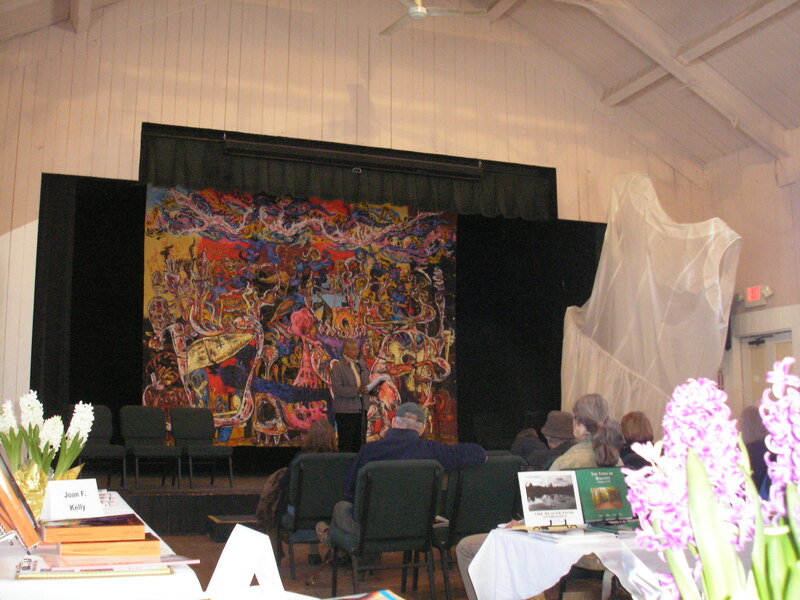 For more information, visit http://www.bethelwoodscenter.org/events/detail/edm. Shandaken Theatrical Society (STS) presents Proof, a play about love, science, and the mysteries of both, opening night Friday, April 3 at 8 p.m. The play, written by David Auburn in 2000, won a Pulitzer Prize for Drama, and a Tony Award for Best Play. 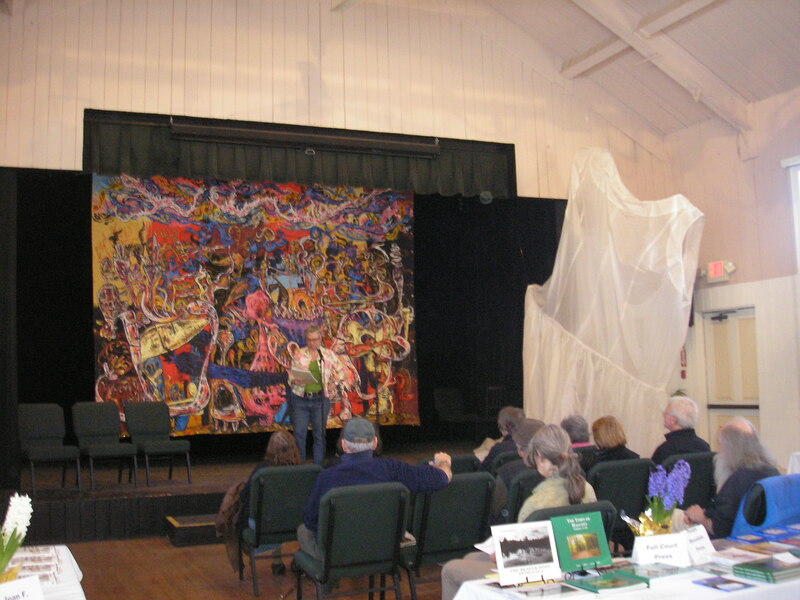 Wallace Norman, who is the Producing Artistic Director of the Woodstock Fringe Festival, directs the performance. For more information, visit http://www.stsplayhouse.com/plays.html. Phoenicia Wesleyan Church is hosting an Easter Concert this Sunday, April 5 at 3:30 p.m. The Phoenicia Community Choir and the Woodstock Community Chorale along with soloists Alexandra Bailey, Tess Brewer, and Nancy Mastrocola will perform music by Fauré, Vivaldi, Bizet, and Puccini. For more information, visit https://www.facebook.com/events/452058971613084/. Enjoy a fabulous Catskills weekend!